Inspired by a Color for the #31DC2017Weekly - Polish Etc. 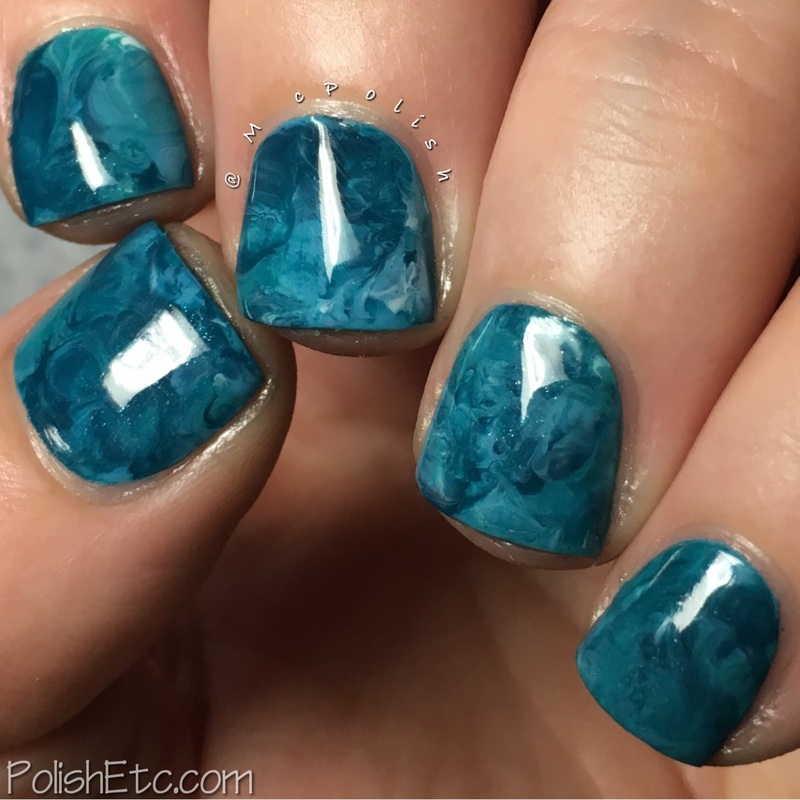 For this manicure, I followed a tutorial by Polished by Becky on doing a Squishy Marble Mani. 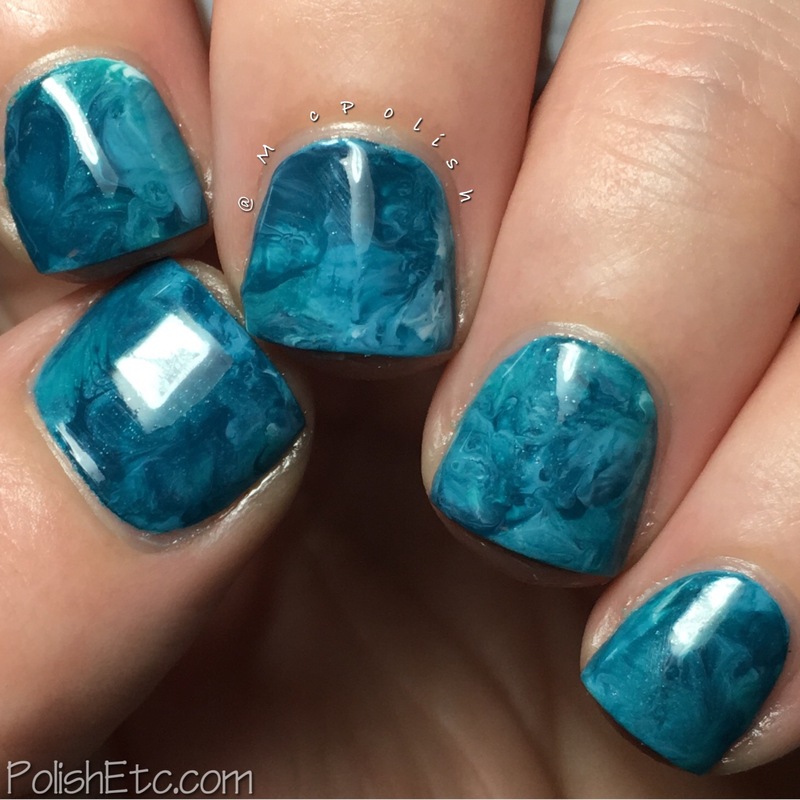 I have done similar manicure before using saran wrap but using a stamper made the colors even more swirly and cool looking. For the base, I used OPI " Can't Find My Czechbook" then I blobbed on the rest of the polishes onto my stamper. Then just stamped that blob of teal colors onto my nail until it was swirly enough for my liking. Then I topped it all off with a glossy top coat after clean up. The polishes I used: OPI "Can't Find My Czechbook", OPI "My Boyfriend Scales Walls", Mary Kay "Tempting Teal" and Revlon "Dealer's Choice". I really dug this mani! 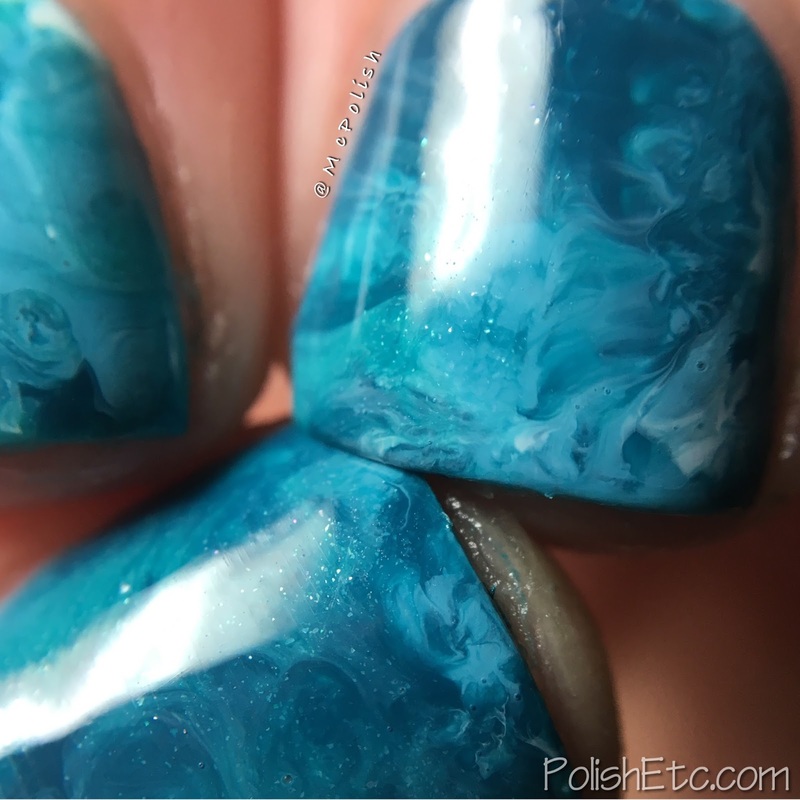 I am going to want to do squishy marble manicures all the time now. Just thing of all of the color combos you could do! Want to see what the other challenge participants found to be inspiring colors this week? 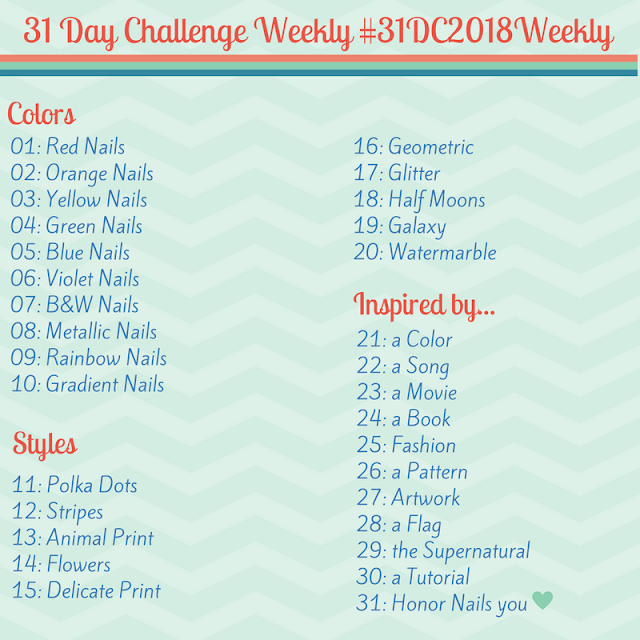 Just check out the tag #31DC2017Weekly tag on Instagram, Facebook and Twitter. This is utterly perfect. It's like fine marble!